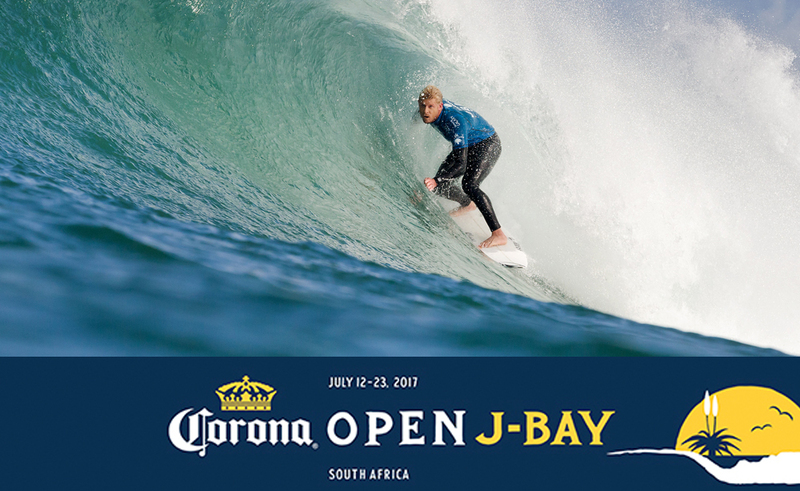 The world’s best surfers and picture perfect two metre waves at Supertubes combined to produce a spectacular display of high-performance surfing on the opening day of the Corona Open J-Bay in Jeffreys Bay today. Competition has been called off for today at the Corona Open J-Bay, Stop No. 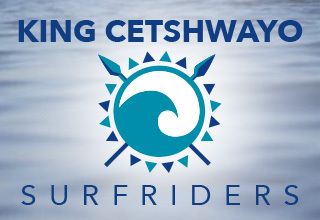 6 of 11 on the World Surf League (WSL) Championship Tour (CT), due to adverse winds at Supertubes in Jeffreys Bay. Supertubes, JBay – The World Surf League (WSL) Commissioner’s Office at the Corona Open JBay have put the contest on hold again today (Friday) as they wait expectantly for what promises to be epic conditions approaching. The surf at Supertubes is contestable today, but the northwest devil wind is making it bumpy and unpleasant. With small 0.6 to 0.9 metre waves on offer, onshore winds predicted for later in the day and better surf forecast for later this week, WSL Commissioner Kieren Perrow has called off competition for today. JEFFREYS BAY, South Africa (Tuesday, July 11, 2017) - The world’s best surfers have arrived in Jeffreys Bay, South Africa, for Stop No. 6 on the 2017 World Surf League (WSL) Championship Tour (CT), the Corona Open J-Bay. The event window opens tomorrow and runs until July 23, 2017 and will resume this season’s thrilling title race, with the top five athletes on the Jeep Leaderboard separated by just 600 points. 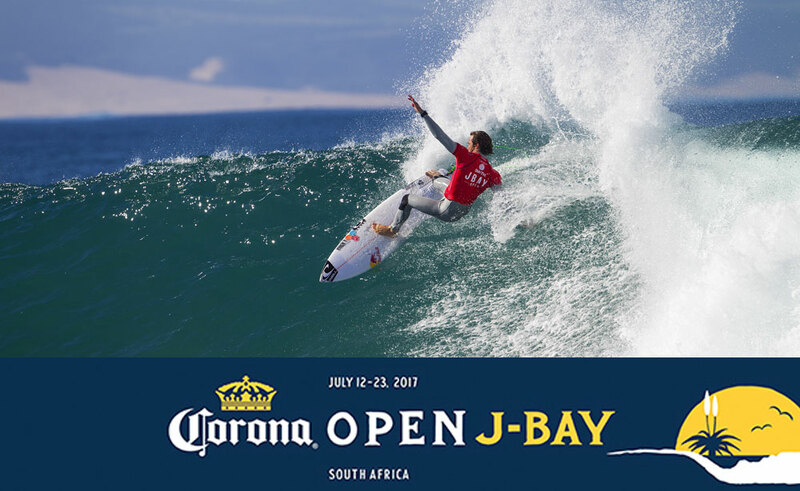 JBay – the 2017 edition of the JBay Winterfest is ready to kick off tomorrow 12 July 2017. 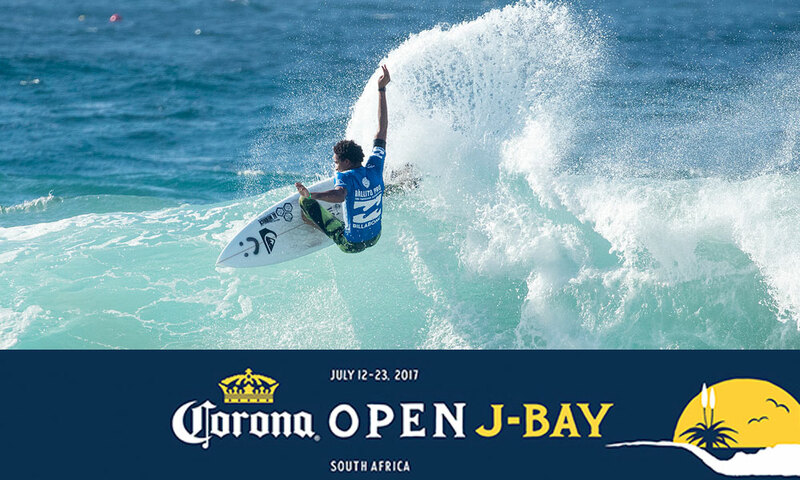 The festival starts off with the opening of the Corona Open JBay, the only Championship Tour surfing tournament in South Africa. The contest will see three South Africans in the mix, with two times event champion Jordy Smith being joined by JBU Supertrial wildcard winner Dale Staples, as well as the recent WSL – appointed wildcard Mikey February. 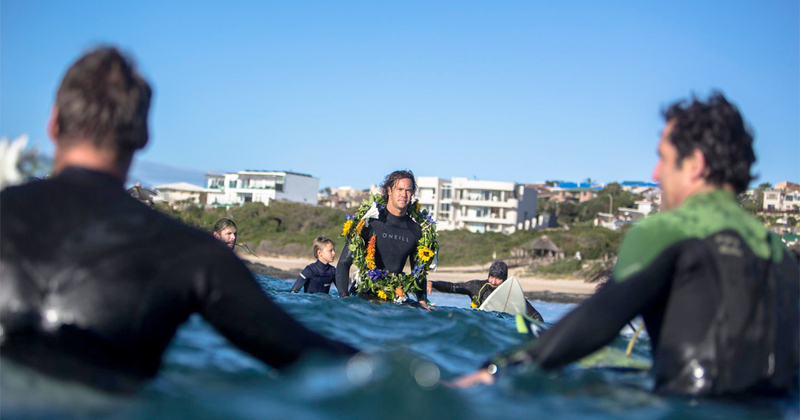 Lower Point, JBay – Championship Tour surfer Jordy Smith and friends joined locals and other surfers from all over the country for a Memorial Paddle Out in honour of Jack O’Neill at Lower Point yesterday morning. 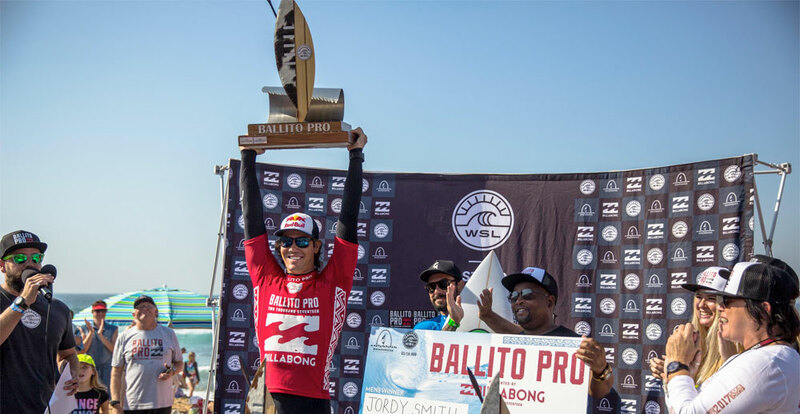 Ballito – O’Neill surfer and third rated Championship Tour competitor Jordy Smith won the Ballito Pro presented by Billabong in front of a packed beach of local spectators on Saturday 8 July, defeating natural-footed Brazilian Willian Cardoso. This is Smith’s second Ballito Pro win, with his previous victory at the event back in 2010. South Africa’s Michael February has been awarded the WSL Commissioner’s wildcard into the Corona Open J-Bay, Stop No. 6 of 11 on the World Surf League (WSL) Championship Tour (CT), which starts its 12-day contest window at the fabled righthand point break of Supertubes in Jeffreys Bay on Wednesday 12 July. 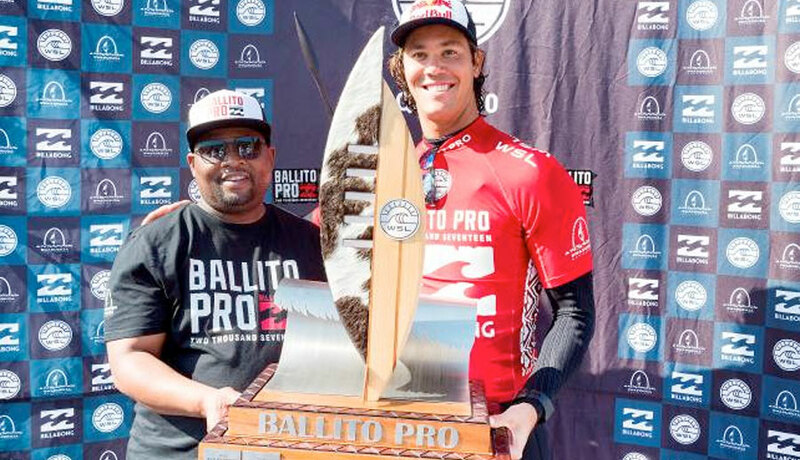 Jordy Smith (ZAF) won the Ballito Pro pres. by Billabong in front of a packed beach of partisan spectators today, defeating powerful Brazilian Willian Cardoso (BRA) in a pulsating final to add the 2017 event title to his previous victory in 2010.